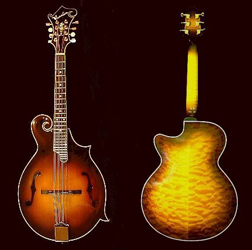 Mike produces three basic styles in the Vanden range of archtop mandolins, mandolas and mando-cellos; the F5, the Simon Mayor and the A model. 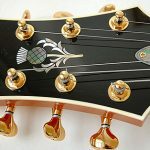 They all feature best quality materials and are hand carved and graduated. 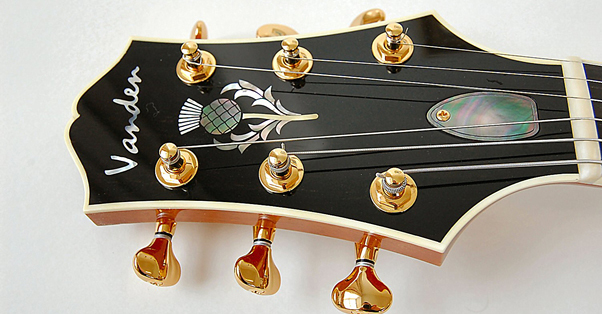 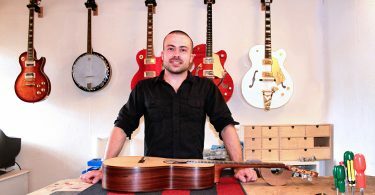 He also specializes in making archtop guitars, in particular the ‘Cadenza’ guitar. 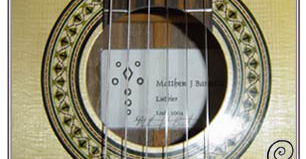 This has been developed principally as an acoustic instrument and is available as the full bodied or cut-away model. Customers are given the opportunity to discuss personal requirements and specifications.